After Maho Bay, we headed back to Concordia for our final evening on the island. We had been planning to cook a pasta dinner in our loft, but Sean made the executive decision that we should have dinner at Cafe Concordia for a third and final time. Plus, is was live music night. This entry was posted in Journey and tagged Virgin Islands on April 12, 2013 by Brandon Hayes. 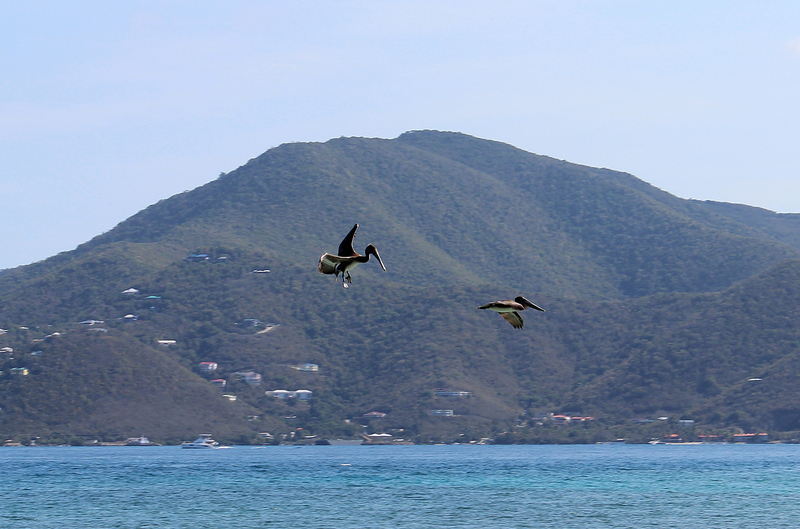 Brown Pelicans at Brown Bay. Sage Mountain on Tortola in the British Virgin Islands is behind them. After Annaberg, we had a decision to make: should we return to Concordia and spend our final afternoon at our home base of Salt Pond Bay or should we go to Maho Bay for a swim and a snorkel? Adam voted for Maho Bay because we hadn’t been there yet. All the rest of us voted for Concordia. Phil said he preferred to swim in the freshwater pool there. I was ready to be done with driving. And so forth. 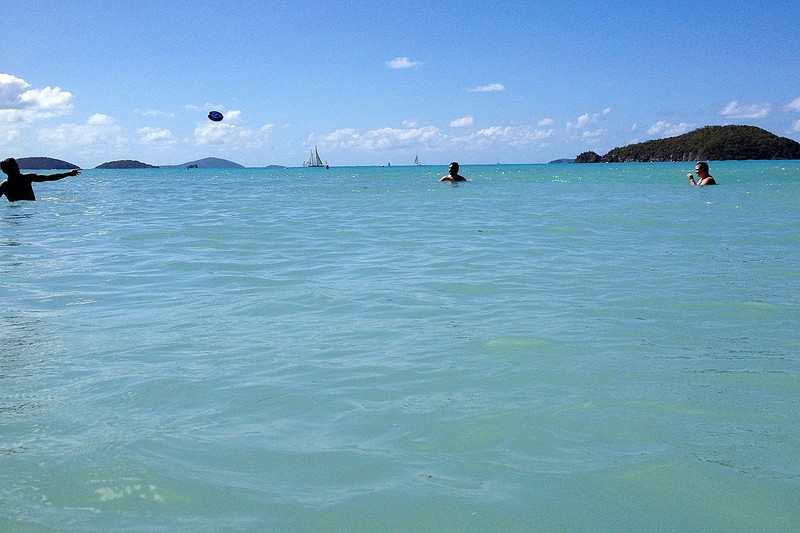 Adam wanted to know if we did snorkel at Salt Pond Bay again, if I’d swim out to some of the farther rocks with him. I agreed. This entry was posted in Journey and tagged Virgin Islands on April 11, 2013 by Brandon Hayes. 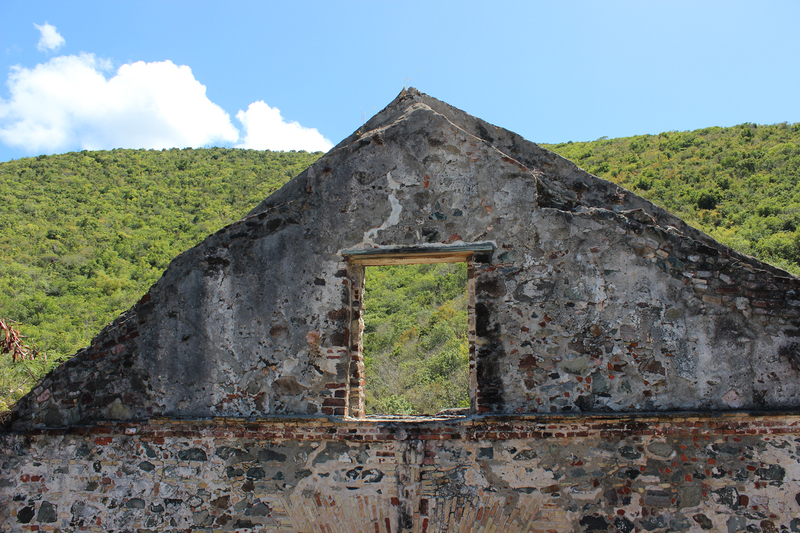 Annaberg plantation lies on the northern shore of St. John (see map), overlooking the British Virgin Islands. 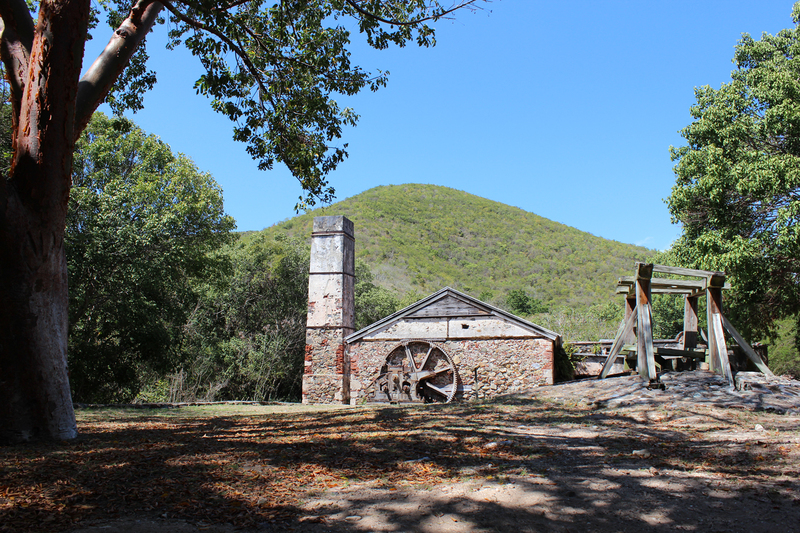 Annaberg stands today in bold testament to a time when “sugar was king.” The ruins represent a colonial-era processing facility known as a “sugar works,” designed and built exclusively for the large-scale production of raw cane-sugar and its two valuable byproducts, rum and molasses. 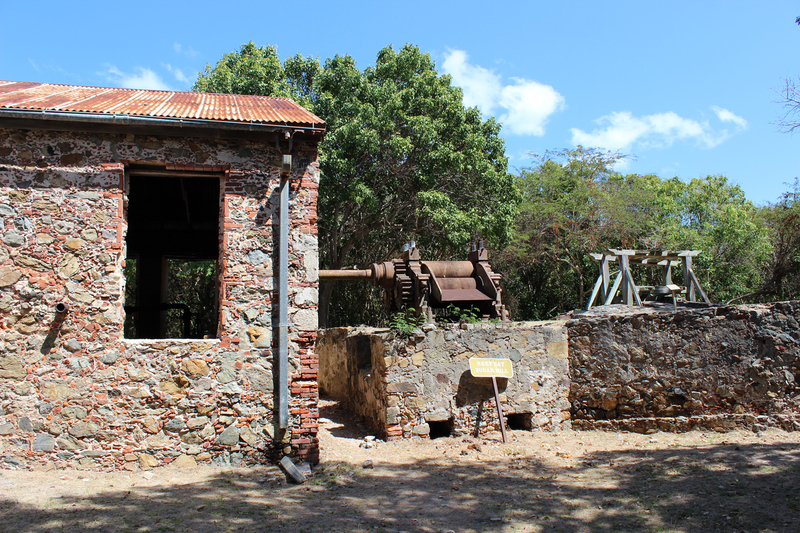 It was constructed between 1797 and 1805, at the pinnacle of the great sugar boom of the turn of the 19th century. Sean, Adam, and I arrived back at Concordia with enough daylight left for a swim and snorkel. 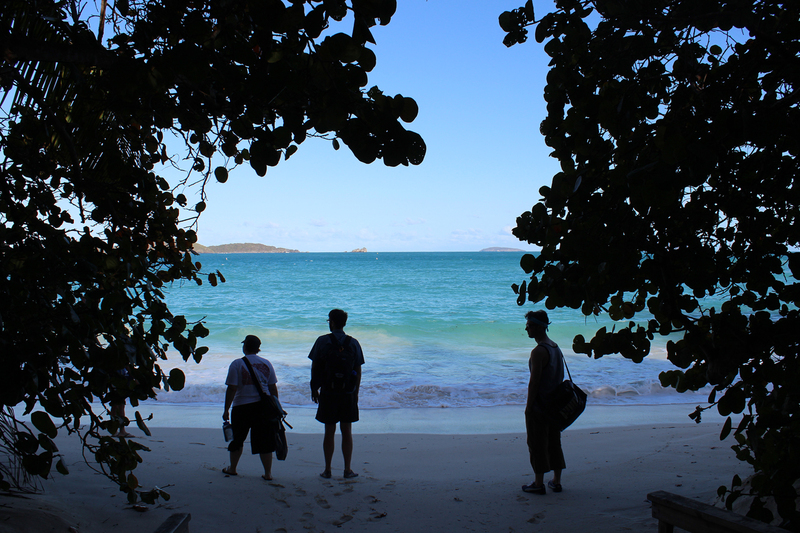 Phil joined us, and we headed down the path to Salt Pond Bay. When we got to the beach, Adam and I strapped on our gear and began swimming along the route we’d followed that morning, hoping that good luck would strike a second time along the rocks on the northwestern side of the bay. We spotted fish and plenty of long-spined sea urchins, but no turtles. We moved out into the deeper waters toward the center of the bay. I spotted something far below us and thought maybe it was a stingray, bur really it was a conch. We decided to move back toward the shore where it was shallower and the sea grass beds thicker, and then head across the bay to the rocky shore on the other side. Sean and Phil were following our progress from near the shore. 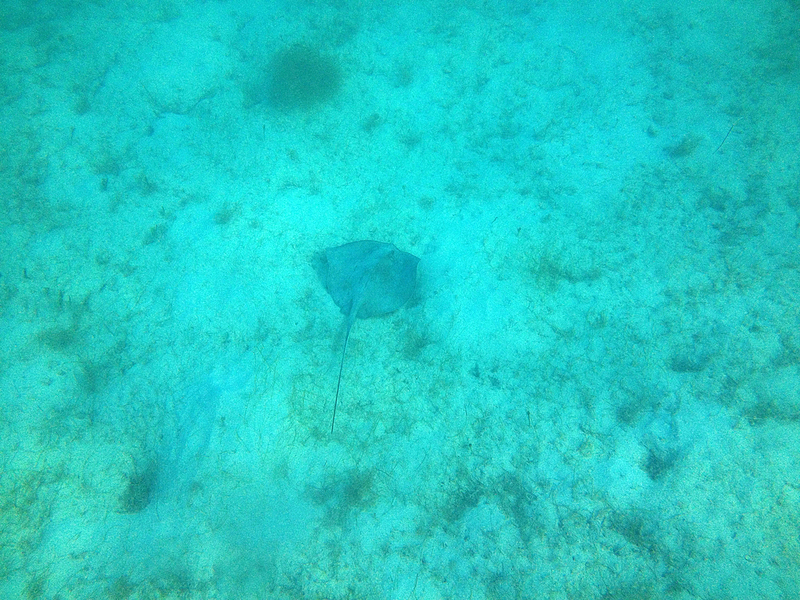 We were moving slowly along, about halfway across Salt Pond, when I spotted a stingray. 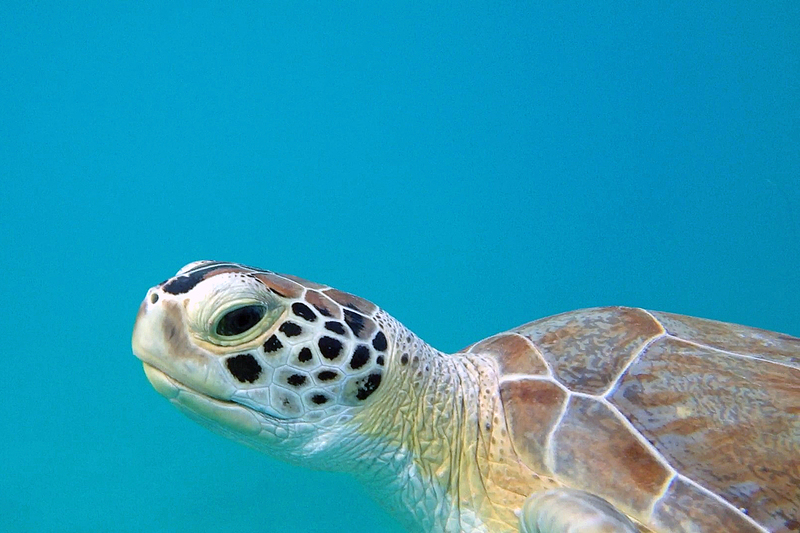 This entry was posted in Journey and tagged Snorkeling, Virgin Islands on April 10, 2013 by Brandon Hayes. After the petroglyphs, Sean, Adam, and I walked the level trail through the forest to the ruins of Reef Bay Sugar Factory near the beach at Reef Bay (see map). 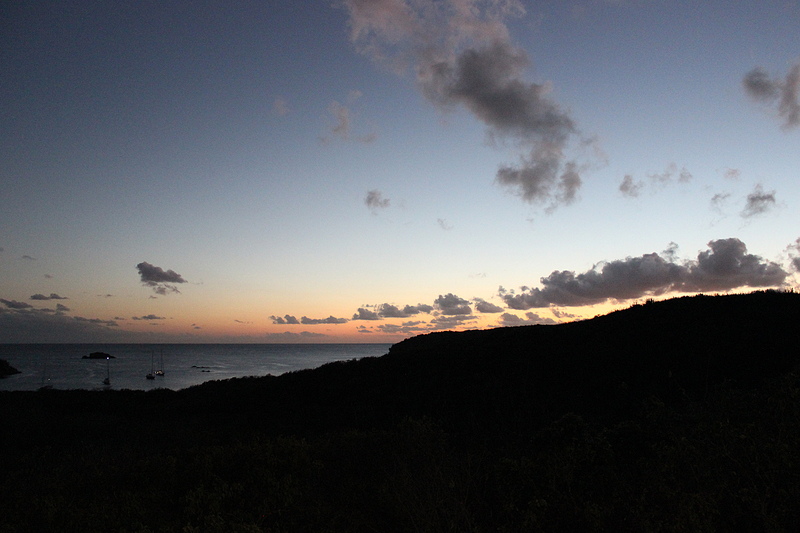 This entry was posted in Journey and tagged Day Hike, Virgin Islands on April 9, 2013 by Brandon Hayes.